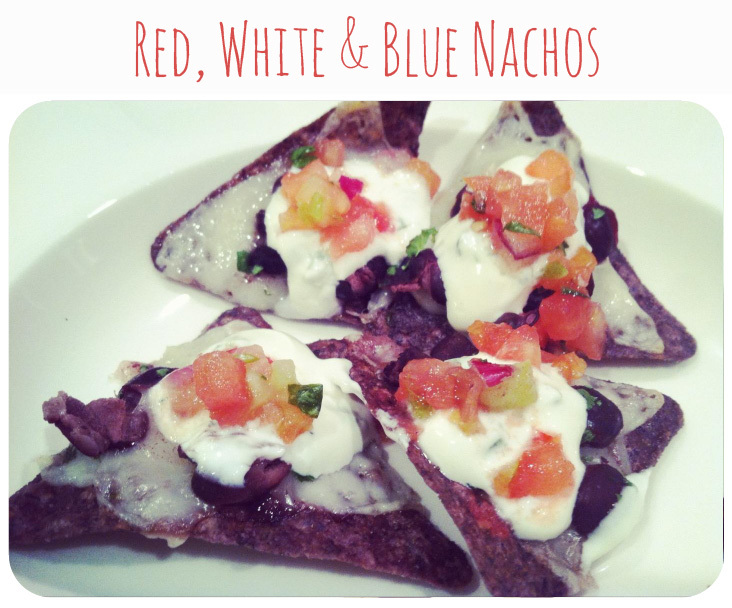 Don’t wait another four years to make these red, white & blue nachos! While this patriotic platter is a strong candidate for any gastronomical election, it can also make an appearance at a Fourth of July celebration or your next All-American Sunday potluck. This is all about the construction, people. Preheat your oven to 400 degrees and lay aluminum foil over a baking sheet (no mess!). 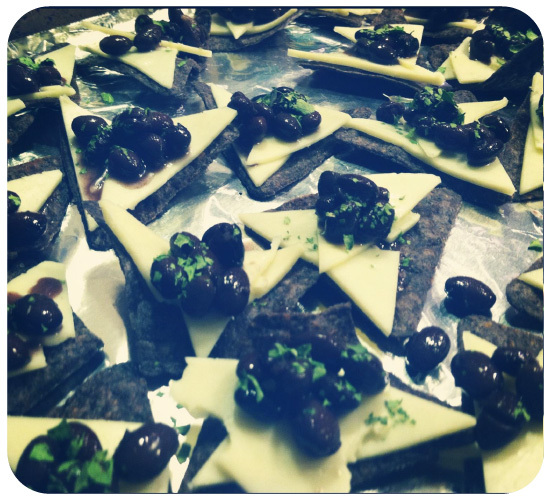 Spread your blue corn chips over the sheet pan and layer monterrey jack cheese on top. Then spoon a tablespoon of black beans over each chip. Yes, I know black beans are not red, white, or blue. But what they are is delicious and full of protein. Top with a sprinkle of cilantro and pop these in the oven for 6-8 minutes, until the cheese is bubbling. While the cheese is warming up, combine your sour cream, juice of half a lime and half of the diced jalapeno. Start stirring until…bam! You just made Kicked Up Sour Cream. Once the nachos are out of the oven, squeeze the other half of the lime over the whole thing. 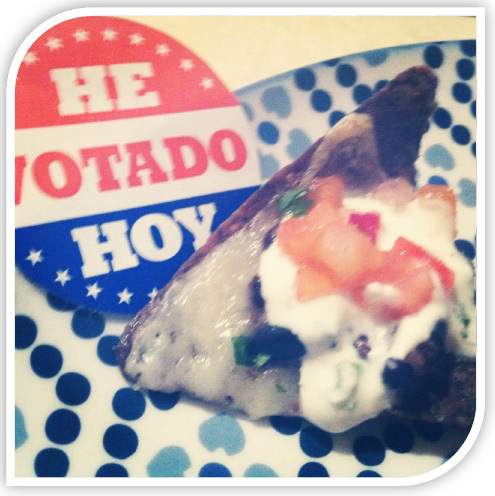 Then top with your pico de gallo, jalapenos, cilantro & Kicked Up Sour Cream.